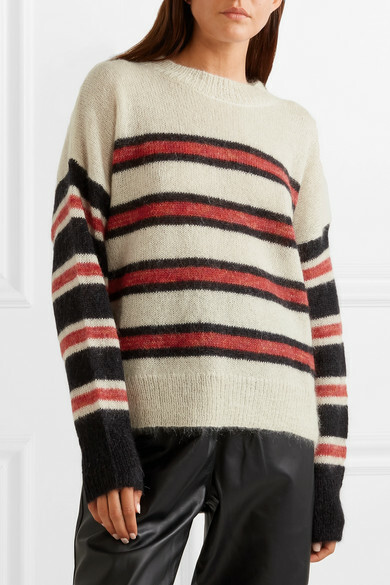 Isabel Marant Étoile's Fall '18 collection is inspired by bold '80s skiwear. 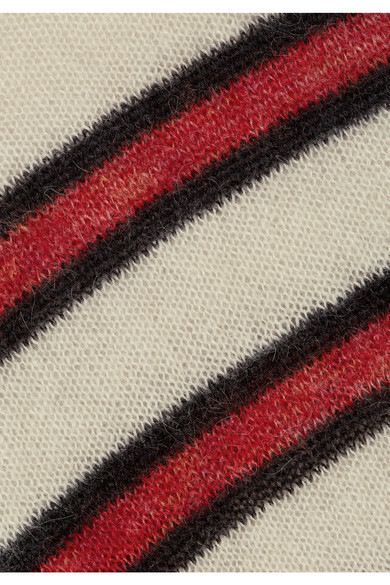 Part of the lineup, this 'Russell' sweater is spun from a fuzzy mohair-blend knitted with red and black stripes. 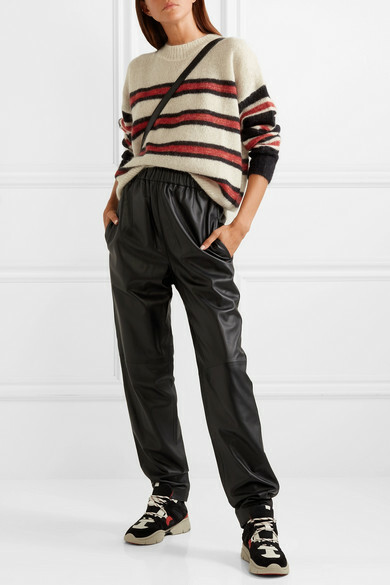 The brand styles it with these zebra-print pants in the lookbook, but it'll also look great with a leather pair. 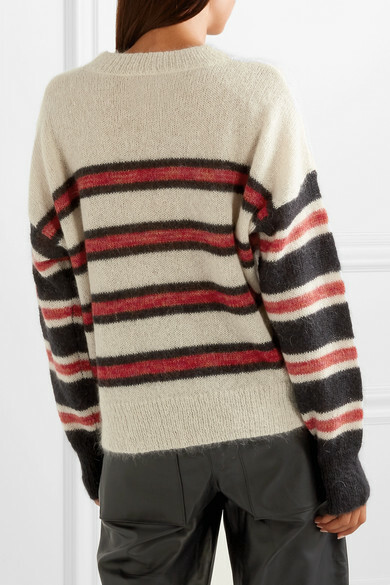 Shown here with: Tibi Pants, A.P.C. Atelier de Production et de Création Shoulder bag, Isabel Marant Sneakers.